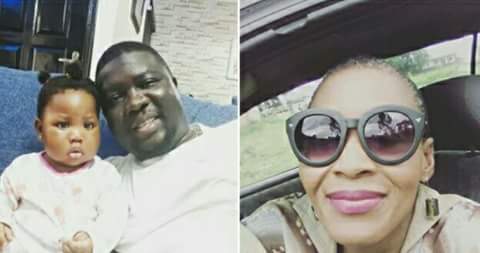 It all started after the former declared on social media yesterday, that he was the happiest man alive when news of Olunloyo’s rearrest hit the web. MY REPLY TO @SEYILAW1 the complete IMBECILE OF A COMEDIAN. I GUESS I CAN SAY I DID NOT REJOICE WHEN I HEARD HE WASN’T THE ONE BADOO CULTISTS KILLED… RIGHT? I heard you were happy I went to prison @seyilaw1. Your baby is still FAT AND OBESE. Take lessons from a health professional. There are lots of children in prison and all are healthier than Tiwa. I don’t sugarcoat things. Your baby could hardly move in one crawling video. Stop overfeeding her. I heard someone called her Kungfu panda. All these fake fans hyping her baby fat are laughing behind you. I went back to prison for another 24hrs due to a technicality and was glad to go back to check up on our 4 newborns and 5 toddlers. The food is better than your mom’s cooking. There is no prison food. You cook your own food. Now I go weekly to prison to drop off supplies and money for inmates with babies and IPOB protesters forgotten by Nnamdi Kanu. Excellence, Precious and some of those babies in there need our help, instead u are busy rejoicing about people going to prison, a pharmacist who advised u of your child’s potential health danger. Shame on you and YOUR dumbass comedy. I highly regret interviewing you giving u the exposure to my 27 million global blog readers. Go and read more about #childobesity. @majeayida pls forgive my anger here. As a foremost fitness trainer in Nigeria, you promised to do a write up to address fitness in children and childhood obesity but I was locked up for posting a news tip. Oh Madam Kemi, when will you realise you have become an object of ridicule? You try too hard to find LOVE on social media because you are family reject. You wish you could have a lovely face to wake up and go back home to see like Tiwaloluwa, my precious daughter hence your bitterness towards her. O ma se o. Akuku bi omo. Omo taa ba gbe sonu ka toju ibi e ( A child will should have thrown away and keep the placenta). You are such a shame to the name you bear. All your cooking without people to eat with must be very painful. Eeeyaah!! I am a professional journalism, pharmacist this and that yet, you had to beg for your bail and feeding like a bed ridden patient. If only you were dedicated and committed to taking your drugs, you would not be raving like a rabies infected dog. I wish I didn’t have to do this, but training an Adult child is not a bad idea. A fool well over Fifty only deserves our prayers. We remembered you in ours tonight.